Here are ideas of the perfect night on the town, with approximate total costs. Some people would enjoy a night at the movies and a late-night snack afterwards. As you can see a casual night out can add up to a lot of cash! 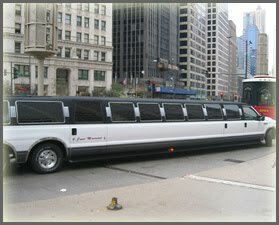 But it can get really expensive if you want to do something more elaborate. Some people enjoy going to a concert with dinner and the full VIP treatment. An evening like this would even be more expensive if it were a prom or homecoming. The cost of the dress, tuxedo,corsage and more would have to be factored in as well. These items could add several hundred dollars to this special event. Other people might want to go the "low budget" route by going to a convenience store, buying a six-pack of beer, and drinking it in the car. This will cost far less - right? Not if the person gets arrested for Driving Under the Influence (DUI). The biggest consequence of driving under the influence is that you might injure or kill yourself or someone else. It's also important tounderstand the consequences for drivers who are convicted of a DUI in Florida. You can be charged with DUI if you are found to be driving or in actual physical control of a motor vehicle while under the influence of an alcoholic beverage or controlled substance. The amount of alcohol that can be detected in your system is measured by your Blood Alcohol Concentration, or B.A.C. The laws of the State of Florida establish a B.A.C. of .08 as the presumptive limit for driving under the influence. In other words, at .08 B.A.C., you are presumed to be too impaired by the alcohol in your system to drive safely. Other substances, taken by swallowing, sniffing, smoking, injection or any other means. Under the Implied Consent Law in Florida, a law enforcement officer may administer a chemical test of any driver's breath, blood or urine at any time. Refusing to take any test required by law to determine whether or not you are under the influence will result in your license being automatically suspended. 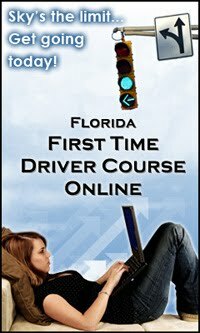 Drivers who refuse the test can still be arrested for DUI and taken to jail. In a collision involving injury or death, a driver's blood may be taken without consent.The blood must be drawn by a doctor, nurse or other health professional. If you are unconscious and cannot refuse the blood test, blood may be drawn. The results of the test may be used as evidence, even if you object after becoming conscious. Driving is a privilege. Never drive under the influence of any substance that could make you an unsafe driver. 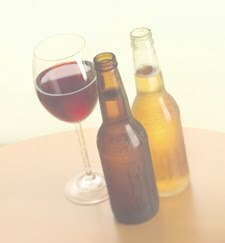 Alcohol is a factor in 25% of Florida collision costs. Alcohol-related collisions in Florida cost the public $7.8 billion in 2000, including $3.5 billion in monetary costs and almost $4.3 billion in quality of life losses. Alcohol-related collisions are deadlier and more serious than other collisions. People other than the drinking driver paid $4.8 billion of the alcohol-related collision bill. 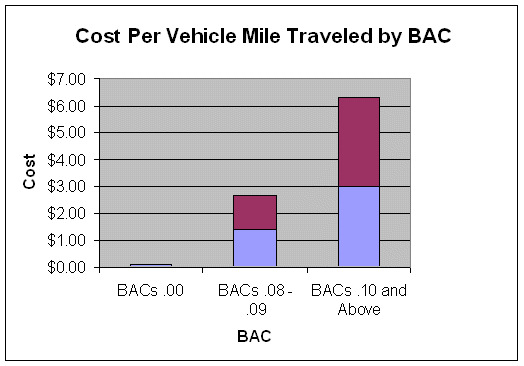 The societal costs of alcohol-related collisions in Florida averaged $1.00 per drink consumed. People other than the drinking driver paid $0.60 per drink. In 2008, 32 percent of all traffic fatalities were alcohol-related. Sixty-eight percent of the 11,773 people killed in alcohol-related crashes in the US in 2008 were drivers with a B.A.C of .08 or higher. The remaining 32 percent were motor vehicle occupants(26%) and non-occupants (6%). The rate of alcohol involvement among drivers involved in fatal collisions was four times higher at night than during the day (36% versus 9%). In 2008, 15 percent of all drivers involved in fatal crashes during the week were alcohol-impaired, compared to 31 percent on weekends. In fatal crashes in 2007 the highest percentage of drivers with a BAC level of .08 or higher was for drivers ages 21 to 24 (35%), followed by ages 25 to 34 (29%) and 35 to 44 (25%). Alcohol-related collisions accounted for an estimated 17% of Florida's auto insurance payments in 2000. Reducing alcohol-related collisions by 10% would save $180 million in claims payments and loss adjustment expenses. Drugs other than alcohol (e.g., marijuana and cocaine) are involved in about 18% of motor vehicle driver deaths. These other drugs are generally used in combination with alcohol. In 2008, the 11,773 fatalities in alcohol-impaired driving crashes represent an average of one alcohol-impaired driving fatality every 45 minutes. Drivers with a BAC of .08 or higher involved in fatal crashes were eight times more likely to have a prior conviction for driving while impaired (DWI) than were drivers with no alcohol. Alcohol-related crashes in the United States cost about $51 billion a year. Drinking is a major problem with pedestrians in traffic crashes. In Florida in 2008, 10.30% (922) of all pedestrians in crashes (8,951) had been drinking and36.25% (182) of all pedestrian fatalities (502) had been drinking. In 2008, a total of 1,347 children age 14 and younger were killed in motor vehicle traffic crashes. Of those 1,347 fatalities, 216 (16%) occurred in alcohol-impaired-driving crashes. Out of those 216 deaths, 99 (46%) were occupants of a vehicle with a driver who had a BAC level of .08 or higher. Studies found that raising the minimum legal drinking age to 21 reduced crashes by about 16% among people ages 18-20 years.